Are you a driver in Corpus Christi, Kingsville, TX, Port Lavaca, or Aransas Pass who owns a Chrysler, Jeep, Dodge, RAM, or Fiat looking for a place to get your car serviced by professionals? Do you want to ensure that your car will continue to run incredibly long time? The service center at Lithia Chrysler Dodge Jeep Ram of Corpus Christi in Corpus Christi, TX the staff here is ready to handle any maintenance for your car whenever you visit. When you come on over to Lithia Chrysler Dodge Jeep Ram of Corpus Christi for your next service appointment you can expect our staff to be ready to handle anything you can throw at them. We will give you a sense of confidence that you didn't know you could feel from a service center. Our staff will be ready to get your car fixed when you come in for visit no matter what you are looking for. We excel in offering our customers a place where they can get their routine maintenance done by professionals. This will allow you to get your oil changed by professionals, tires rotated, and a systems check to ensure that everything is running correctly. In addition to the standard maintenance that our staff can take care of, we can also tackle more labor intensive jobs as well. When you visit our service center you will realize that our staff can take care of brake repairs which can be a very labor intensive and be a big undertaking for both buyers and the service staff. Additionally, we will also be able to tackle engine component repairs, transmission repairs, and suspension repairs to make this the perfect place to visit to keep your Chrysler, Jeep, Dodge, RAM, or Fiat performing at its peak levels. At Lithia Chrysler Dodge Jeep Ram of Corpus Christi our staff makes servicing your car easier than ever before. With the ability to schedule your service appointment from home or be able to finance expensive maintenance with the The Synchrony Car Care Card making repairs more possible. Plus, when you visit our service center you can save money with our service specials. Make your way over today and see what makes our service center special. See you soon! Lithia Chrysler Dodge Jeep Ram of Corpus Christi provides car repair and service in Corpus Christi. 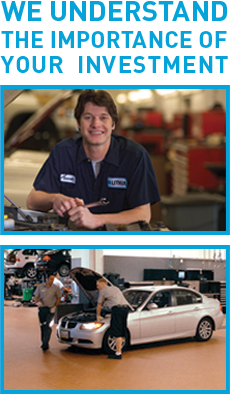 Our trained repair technicians quickly diagnose and repair your vehicle's problem. Speak to one of our car repair experts today. Fill out our Service Appointment Form or call us. Regular maintenance helps your car run smoothly and for a long time to come. Let our Corpus Christi car repair center make manufacturer service quick and easy for you. Our Dodge, RAM, Jeep and Chrysler auto repair center does oil changes, tire rotations, fluid flushes, engine tune-ups and more. We want your new Dodge, RAM, Jeep and Chrysler or used car to function properly for as long as possible. Trust your car repairs and service to Lithia Chrysler Dodge Jeep Ram of Corpus Christi at 4313 S Staples St.
Lithia Chrylser Jeep Dodge of Corpus Christi services new and used Chrysler, Jeep and Dodge vehicles. However, our service full service department also repairs other vehicle brands. It's easy to schedule an appointment online at Lithia Chrylser Jeep Dodge of Corpus Christi. We're convenient to Kingsville TX, Port Lavaca & Aransas Pass. Our goal is to offer same-day service for most car and truck repairs. We also have a same-day turn around time for maintenance services. Whether it's an oil change, brake repair, tire rotation or you just want a seasonal inspection, Corpus Christi Chrysler Jeep Dodge is right here for you. Our professional service team can handle all your repair needs, from a troublesome transmission to exhaust problems. We also offer emergency roadside service in Madisonville, Navasota and Hearne Texas.Take advantage of Lithia's Assured Service Contract or Lifetime Oil Program. Read Lithia's New Tire Protection Pledge! Watch service videos online! We stand by our quotes! Before starting the required work on your vehicle, we we will give you a complete and detailed estimate. We then assure you that you will not be charged a penny more for your car repair, truck repair or vehicle maintenance. When we repair your car or truck, we guarantee the work for 3 years or 50,000 miles including parts and labor. We know that you eager to make sure your car is maintained properly since it's a large investment. Our auto repair centers are here to help you to protect that investment. With regular factory-recommended maintenance, Lithia Motors Assured service departments can help you to keep your vehicle in like-new condition. Our expert Corpus Christi Chrysler Jeep Dodge Service Team is fast, efficient, and friendly. They fully comprehend that maintaining your car may not be easy to fit into your busy life. Our service department works efficiently to to repair your vehicle quickly while maintaining a standard of excellence. Our friendly service staff and state of the art high-tech service facilities set us apart from other shops. Make an online service appointment or call any of the Assured Service locations to schedule your maintenance or car repair . We look forward to serving you!